Hi Everyone! 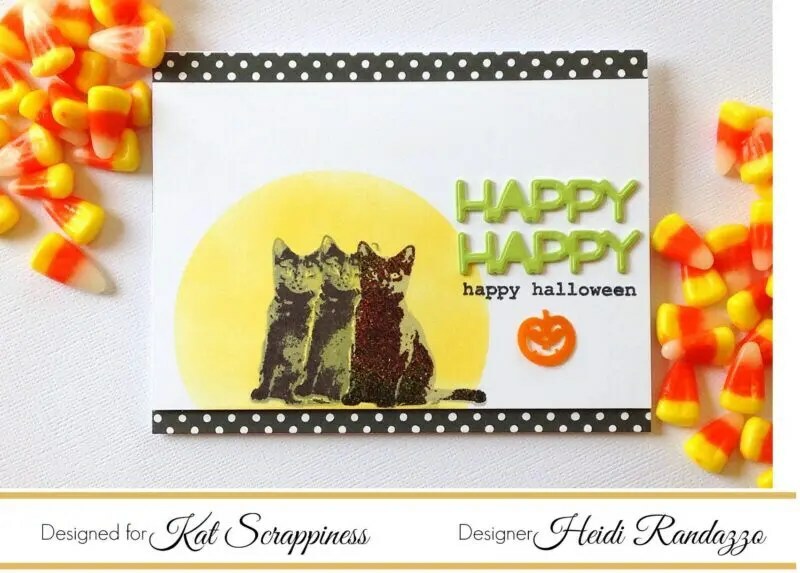 It’s Heidi and I’m here with a fun Halloween card using the new Kat Scrappiness Toil & Trouble Layered Stamp Set. 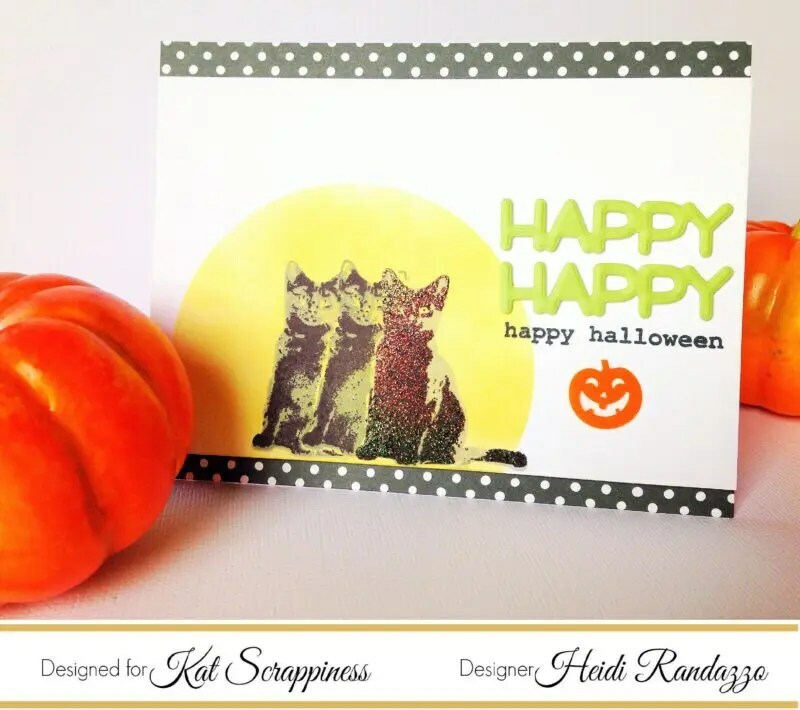 Since layering stamps have come out, they have been some of my favorites to work with. The amount of dimension you get with an otherwise flat image amazes me! 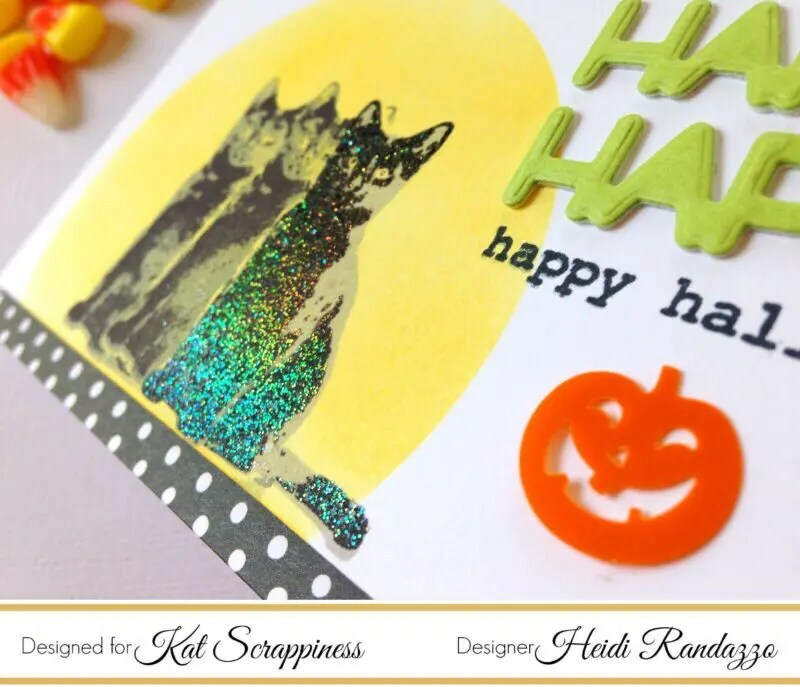 For this card, I added a little bit of holographic embossing powder to the cat to really make it stand out. I’ve also been enjoying masking again, which is why I had to stamp these little cats 3 times in a row. I have a video below that shows you how I put everything together. Enjoy!